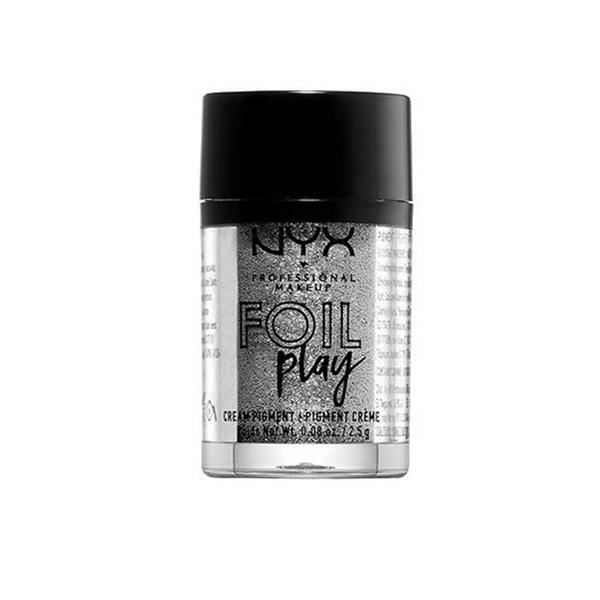 Let the glam begin with the Foil Play Cream Pigment from NYX Professional Makeup! From dirty gold to forest green and rusty red, our 12 vivid tones are bursting with a ton of pearl. These loose pigments are also beyond creamy, making them a breeze to blend out or build up for a pigment-packed metallic finish. Yep, they’re kinda amazing for creating that on-trend foiled eye look. Prep with Pigment Primer if desired. Apply and blend using your fingers or the Dual Silicone Applicator. Layer and blend as desired.